An interesting line-up, with four quite different acts, brought me to the W2 venue in Den Bosch, a former cigar factory. 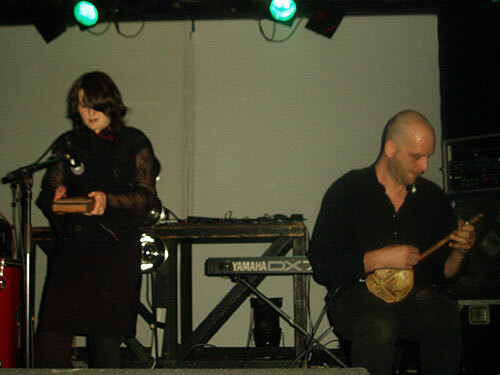 First up was HERR, a Dutch act which has started to attract some attention within the martial/neofolk scene. This was only their second performance, after a small try-out last year in Leiden. They deserve praise for their attempt to play as much as possible live. 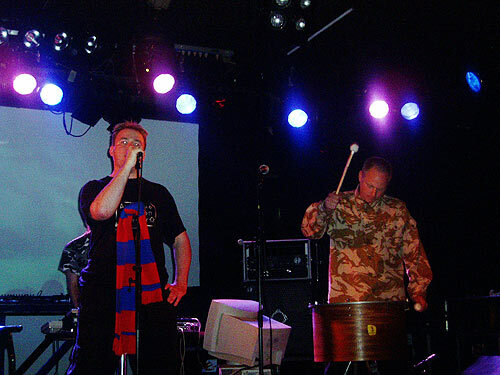 Their line-up consisted of Troy (vocals/spoken word), Mikl?s (drum and vocals), Michiel (electronic equipment), Reinier (snare drum) and Oscar on cello. Troy and Michiel also played some acoustic guitar, but that was barely audible. HERR’s concert started a bit chaotic. This was mostly due to technical difficulties, like a skipping cd-player. The individual musicians also did not always form a very tight unity. But the members stayed calm and after a while they seemed to have warmed up. The second half of the concert was much better, and they also saved their best material for the end, like the forceful ‘Zachte heelmeesters’. It was followed by ‘The First Prince’, which made me curious for the upcoming ‘Vondel’s Lucifer I’ album. When HERR finished with their absolute prize song ‘The Fall of Constantinople’ (“Enemy at the gates!”), I had the feeling that they just started to get the hang of it. Quite original was the introductory speech by Mikl?s. He betrayed that their subject matter is war, and not just on the battlefield, but also wars of the common man, like in the football stadiums. This was probably my first exposure to post-industrial hooligans. Next was des Esseintes, a project by Magnus Sundstrom from Sweden, who would perform later in the evening also with The Protagonist. Perhaps an outsider on the bill, with a louder industrial sound than the other acts, but it was probably convenient to book both The Protagonist and des Esseintes at the same time. Visually it was not very spectacular, just Magnus improvising behind his equipment. 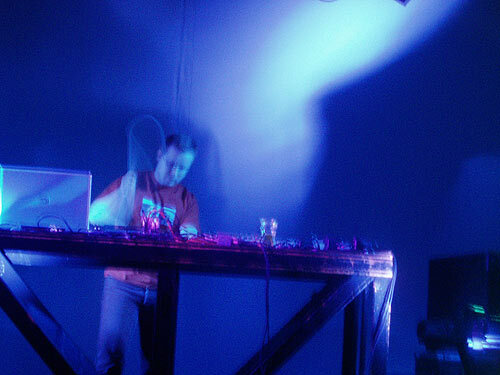 Luckily he was also using electronic percussion, which made things look more dynamic. Afterwards I heard that he had forgotten the dvd to play in the background. 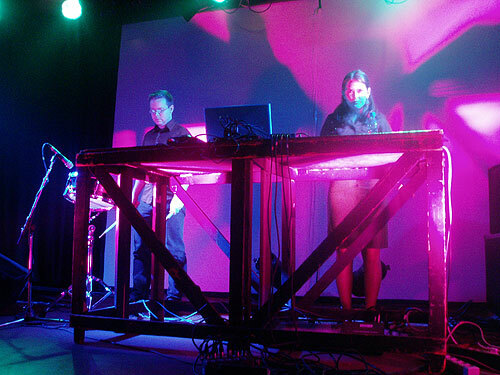 But the music certainly was very powerful, a good mixture of atmospheric ambient elements and loud rhythmic industrial. Noisy at times, but also with melancholic elements. A quite overwhelming sound. Olen’k from France is the latest discovery of the Cold Meat label. They contributed to the “Flowers made of snow sampler” and released the debut album “Silenty Noisy” recently. This album did not appeal to my personal taste completely, but on stage Olen’k certainly proved to be good musicians. I never had the feeling of watching an inexperienced band. Especially singer Elise Montastier had a nice appearance and a wonderful voice. On the album an additional female singer is employed, but Elise could manage it on her own. 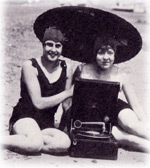 The various songs displayed a wide variety of styles. 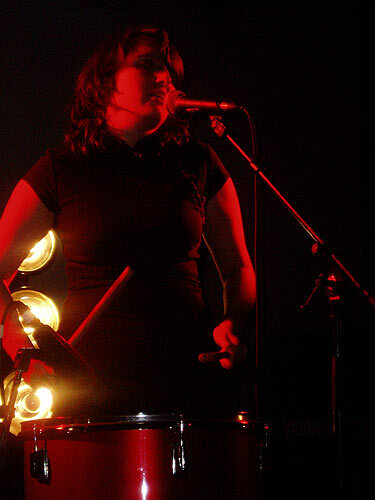 Especially towards the end they sounded convincing, with two dynamic songs on which Elise also played drums. Highlight for me was the emotional ‘She’s dead’, a song created more than 20 years old by a previous band of bass player Manu Costa. 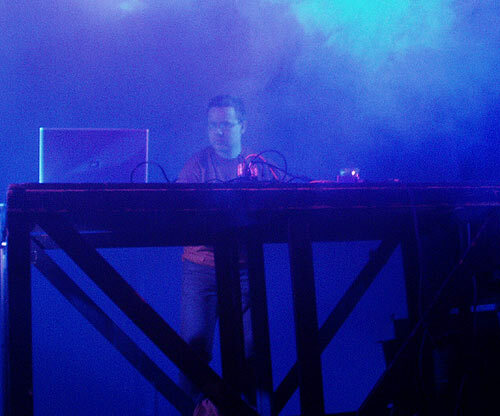 The only pity was that Olen’k could not play ‘Season of Tears’ because of techical problems with a keyboard. Final act was The Protagonist, so again Magnus Sundstrom took the stage, this time supported by two other members. Of course many classics from the “A Rebours” album were played, as well as some new material, I assume of the upcoming new EP “Interim”. The new tracks did not sound revolutionary, but certainly solid. As always The Protagonist sounded powerful and bombastic. 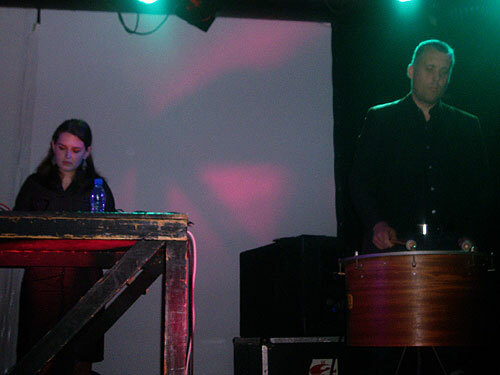 I was a little disappointed though that the line-up was rather minimal, just electronica and drums. 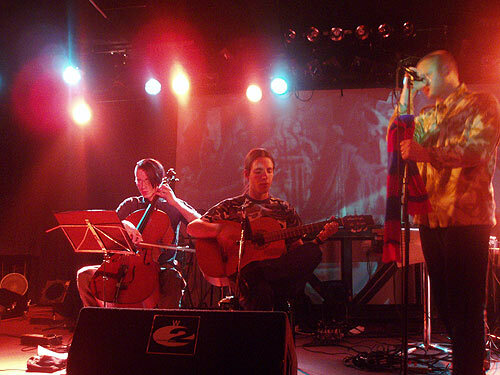 I still long for the time when they had was a cello player on stage. This time there also were no live vocals, most tracks were instrumental, expect from one piece with vocals from tape. 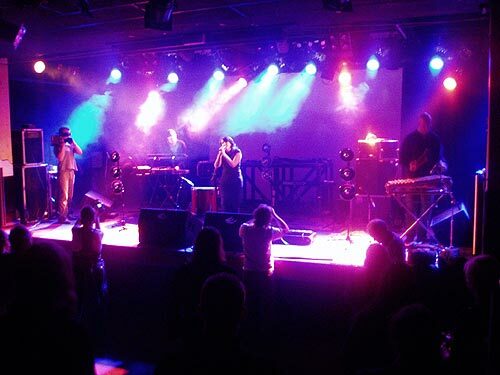 Nevertheless songs like ‘Kampfende Pferde’ are also worthwhile to hear on a high volume. All in all a worthwhile evening, with a varied musical menu. The bands deserved a little more visitors, but the atmosphere in the W2 was very good.